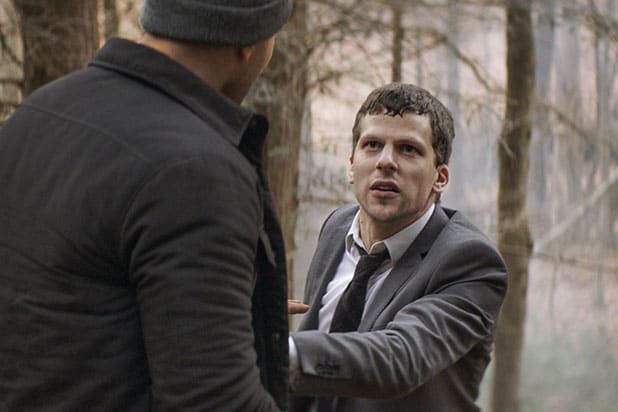 The Orchard has acquired the U.S. rights to Kim Nguyen’s “The Hummingbird Project,” which stars Jesse Eisenberg, Alexander Skarsgard, Michael Mando and Salma Hayek. Brian Kavanaugh-Jones (“Loving”) and Fred Berger (“La La Land”) of Automatik are executive producers on the project. Pierre Even produced. It’s an Item 7 co-production with Belgian’s Belga Productions. The Orchard is planning a release for early 2019. “The Hummingbird Project” follows cousins from New York (Eisenberg and Skarsgard) who are high players in the game of High Frequency Trading. Their dream is to build a fiber-optic cable between Kansas and New Jersey which would make them millionaires — and they will let nothing stop them in the process. The deal was negotiated by Danielle DiGiacomo, VP of acquisitions for the Orchard and by CAA on behalf of the filmmakers. HanWay Films is overseeing the international sales and distribution.